On the way home from San Francisco Katie and I stopped at Pea Soup Andersen’s for my first ever pea soup experience. Knowing that I don’t really like peas and not knowing if I would like pea soup or not I was a little worried. I had heard such good things though that I wanted to give it a try. 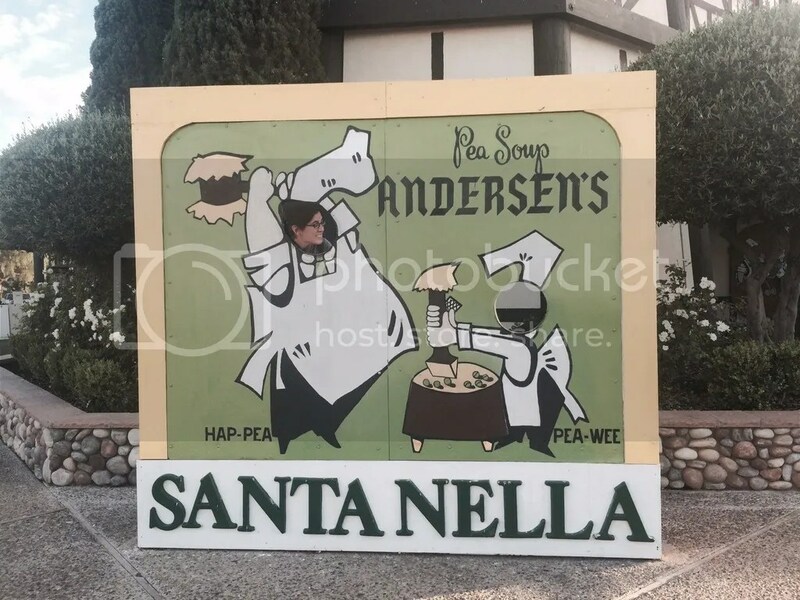 Pea Soup Andersen’s original location is in Buellton, California just north of Santa Barbara. Anton and Juliette started a prosperous horse and cattle ranch and dairy farm named Rancho San Carlos de Jonata. R.T in 1924. They had 5 children and came up with the idea of opening a tiny restaurant. They named it “Andersen’s Electric Cafe”. The most popular recipe with the customers was the split pea soup. 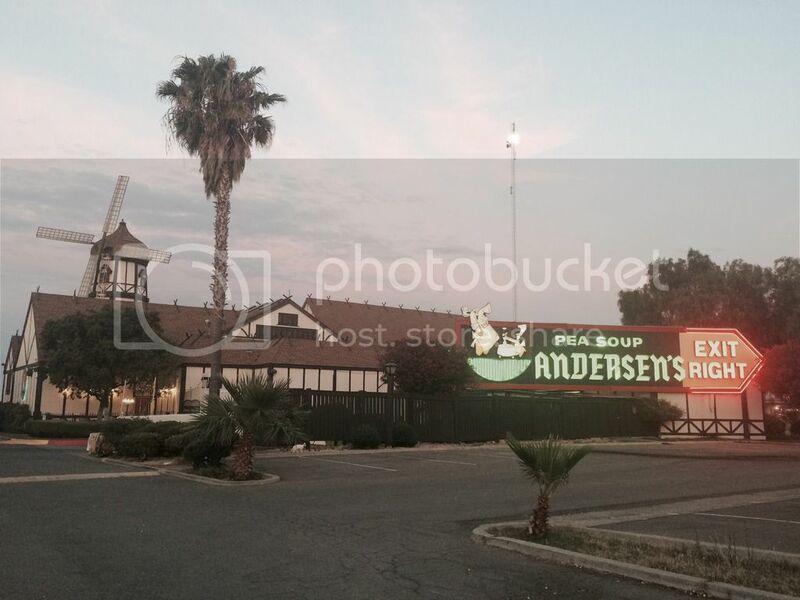 In 1965 Pea Soup Andersen’s was sold the Buellton restaurant to Vince Evans. He had a vision to create a new “Service Town” off of I-5, similar to what had been created in Buellton by the Andersen Family. He eventually opened their second location in Santa Nella, California and that is where Katie and I stopped. As we pulled into the restaurant parking lot I realized that it was much bigger than I had expected. The classic windmill was the first thing to catch my eye, from the highway but the building itself was huge. We took a moment to admire the windmill and then finally found the main entrance. We stopped to take a picture with their head cutout board of their classic cartoon of the two guys splitting the peas and then headed inside. Once inside I immediately noticed their bakery and gift shop. I was super excited to see what they had and snuck away to get a better look soon after we were seated. 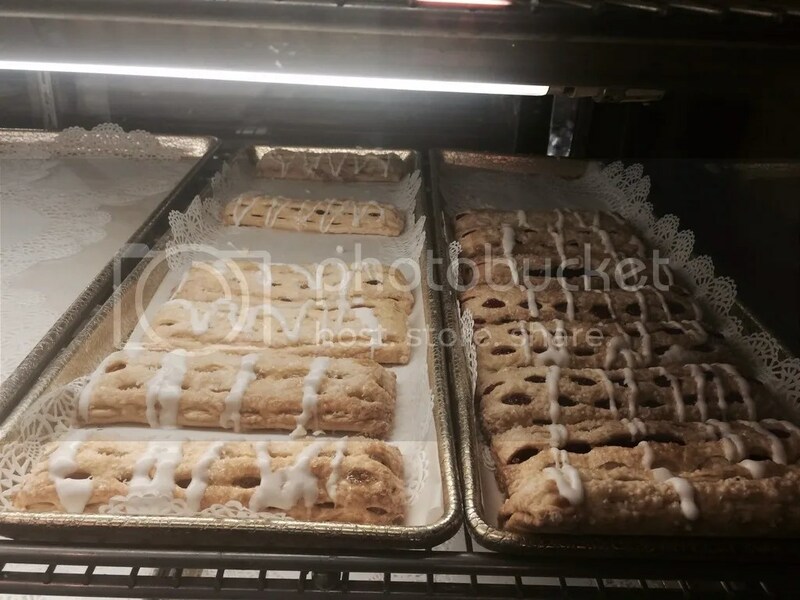 They had cookies, strudels, eclairs, and pies. It all looked so good. The gift shop had all kinds of memory and special event pieces. They even had a Scooby cookie jar which I found super cute. You can even buy cans of their pea soup if you want to take some home. Back at my seat the waitress offered for me to try the split pea soup before ordering it as a meal. What a great idea and I really appreciated getting to try a sample. Not having to buy it if I didn’t like it was a plus too. Unfortunately I did not like the soup. Maybe I just don’t like peas so much that pea soup just wasn’t a good choice. We decided on a burger and some chicken tenders, both of which were very good. For some reason, I couldn’t shake the feeling of it being very similar to a Crackle Barrel and I’m not a huge fan of Crackle Barrel so trying to get that out of my head was difficult. 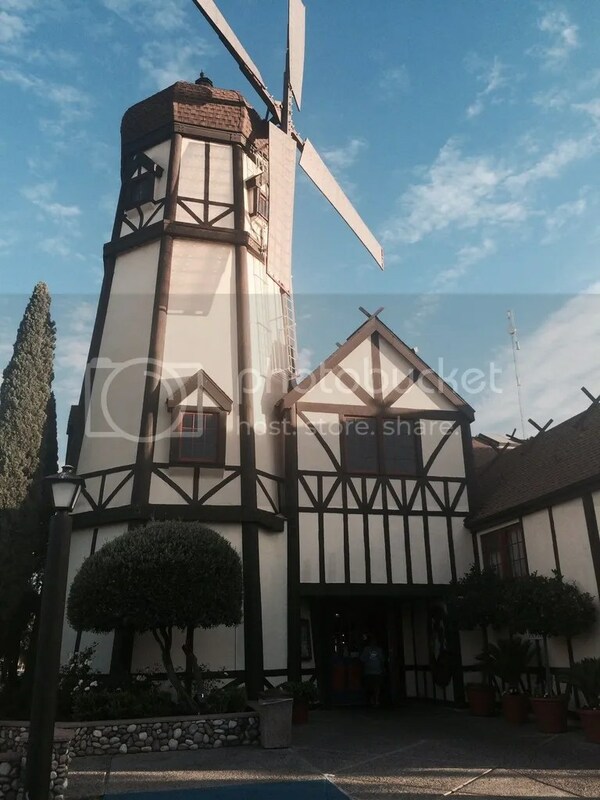 However, all in all as a rest stop for a long trip, Pea Soup Andersen’s is a great place to check out. 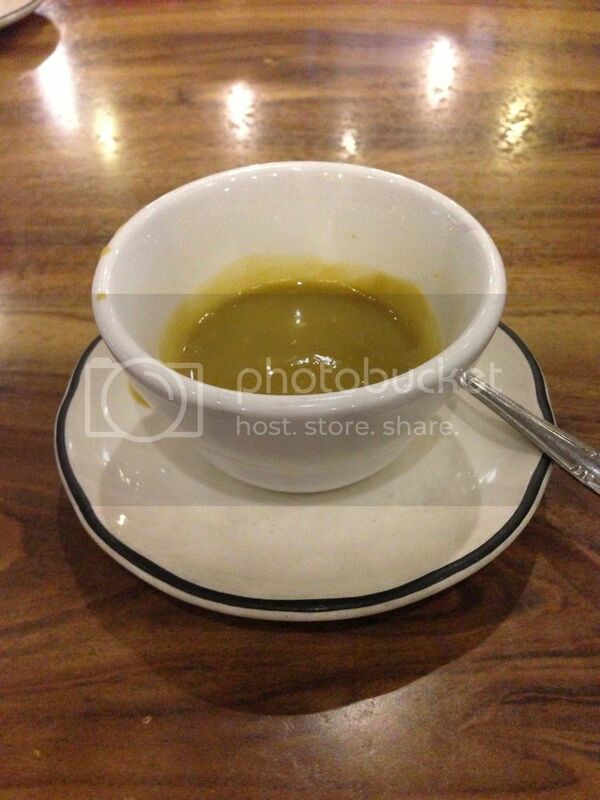 Try their pea soup if you like it and if not there’s plenty of other option to try. Just to set the record straight though, I wouldn’t drive all the way to Santa Nella from Los Angeles just for their split pea soup. But that’s just me.